Since October 15th 2011, it is compulsory for foreigners employed in China to contribute to Social Insurances as per China’s Ministry of Human Resources and Social Security: an employer must pay for all five types of social insurance (pension, medical, work-related injury, maternity and unemployment insurance) for an expat. 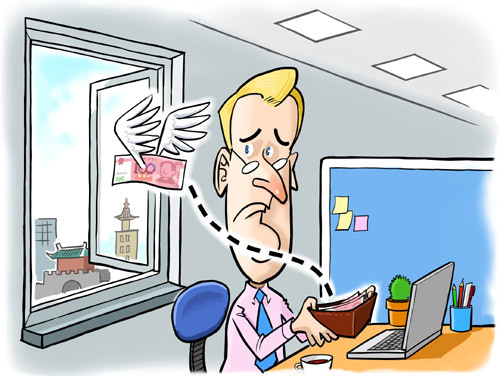 If you are leaving China after having being employed by a Chinese company or a foreign company based in China and prior to reaching the prescribed statutory age for pension withdrawal, you can get back a part of your participation to the Pension funds you have been contributing each month you were in employment. The employer contribution is 20% of all its employee’s salaries for the country-wide pool of money plus 8% of each person’s salary on a personal pension account. 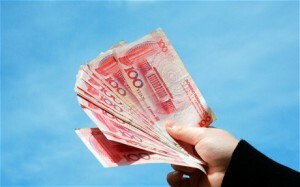 For foreigners leaving China, they will be able to get back all the money paid on the personal pension account! as it is not just a little money! pays 1,286 yuan a month, while their employer pays 5,610 yuan. assuming the foreigner had a 3 years assignment in China, he can get back 46296 yuan! How to get back the money ? Terminate the employment contract with your employer. Employer should give you a stamped release letter acknowledging that you do not work for them any more (终止劳动合同). Your employer will submit the stamped form to the local Human Resources and Social Security Bureau to terminate your employment. At this stage, you need to tell your employer that you need also them to fill out the Personal Pension Insurance Deposit Withdrawal Application Form for Insured Foreigners (Or Citizens of Hong Kong/Macao/Taiwan) or 外国(港澳台)参保人员基本养老保险个人账户储存额一次性支取申领表. This form is available from the local Human Resources and Social Security Bureau. They should both cancel your employment and hand in this form which is basically a notification to the government that you intend to withdraw your money. ask to sign the Confirmation Letter for Whole Withdrawal of Basic Pension Insurance Deposit pr 一次性提取基本养老金确认书. bring also bankbook or bank card (requirement: you should use this account for more than 6 months). Bureaus may not accept bankbooks or cards from banks other than ICBC, Agricultural Bank of China (ABC), Bank of China (BOC) and Construction Bank of China (CCB)! However most of companies are also paying salaries on accounts from those banks. Note that once your employment is terminated, your residence permit will be cancelled and you have one month to leave China (some employers forget to do so, but this is not legal). 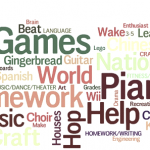 What happen if you don’t apply upon leaving China? The contribution years will be calculated on a cumulative basis in the event the person comes back to China to work again in the future. If you reach the age of pension and if you have contributed to Chinese Pension scheme for longer than 15 years and you reside outside China, you will receive monthly social insurance benefits. However, you must submit every year to the in-charge social insurance agency a certification of existence issued by a Chinese embassy or consulate. 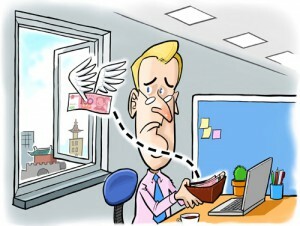 Do you know if foreigners can also withdraw the employee medical insurance fund once they leave China?